Preston Taylor here, part of a Realtors job is to meet strangers in isolated locations at odd hours of the day. You put yourself at risk every day (without realizing it) by doing “everyday” tasks that may seem harmless. It is important to have a safety plan in place at the office. This needs to be discussed on a monthly basis to ensure that everyone is on the same page. Talk to your staff about obtaining their CPL’s (Concealed Pistol License) and carry. This is not an easy decision to make, not everyone is mentally/physically prepared to use a firearm for self-defense. People must have the mindset to safely and lawfully do so, if they’re not then do not pressure them into carrying a firearm. 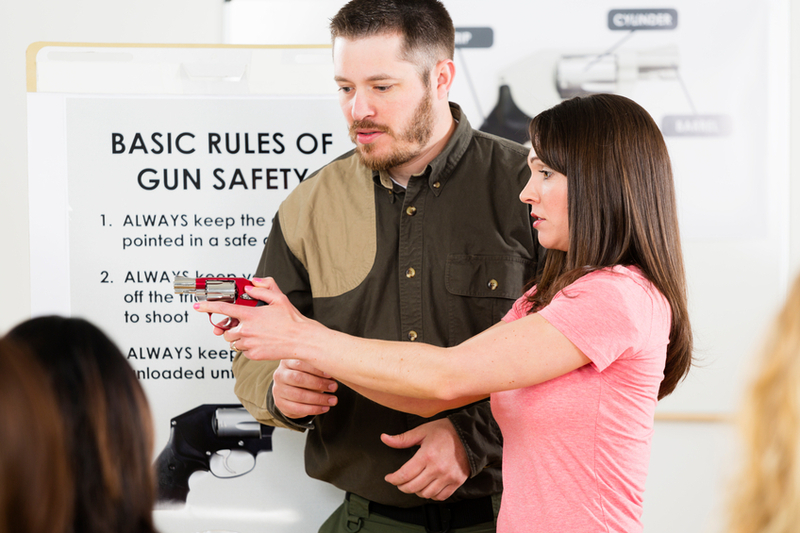 If carrying a firearm is something your team is interested in, then get trained. Go together as a team and get your CPL. Continued training is a must. Having the client behind you opens the door for many threatening scenarios. Never have anyone at your back while showing a home. The client leads as you direct them to areas of the house. If you don’t already do this, it may take some practice to get used to, but please try to conduct business that way. Make sure you and your staff knows their rights pertaining to self-defense. Michigan is a Stand-your-Ground state and has a Castle Doctrine. As a self-defense instructor and officer of the law, I recommend that you familiarize yourself with both. Your fellow agents should never have the client ride in the car with them. The risk factor far outweighs the gain. Stress the importance of never meeting an unknown client on a text only. Having the client(s) come to the office is the best case scenario. If agents must meet their clients by text only, then have them do their homework first. Create a standard set of questions and have them base their decision on the client’s ability to answer satisfactorily. HAVE A PLAN! Ladies and gentlemen, have a plan in place if things go bad. When you’re in the thick of it is not the time to wonder what to do. Your office should know your plan you should all be on the same page.